Sake is the Japanese alcoholic drink that is made from fermented rice. Since ancient times, sake has played a vital role in the everyday lives of the people. It even earned the nickname of “drink of the gods” and the Japanese love their sake just as much as the western people love their beer and wine. In Japan, there are various breweries that allow visitors to see and understand the brewing process of sake. Usually, the production of sake happens during the winter. You might ask “why do they only brew during winter?” The answer is because sake needs the cold temperature to help keep the temperature down during the fermenting stage. If you’re interested in how sake is made, you can visit the 10 best sake breweries in Japan that accept visitors. Suehiro Sake Brewery in Fukushima Prefecture is quite famous in Japan. 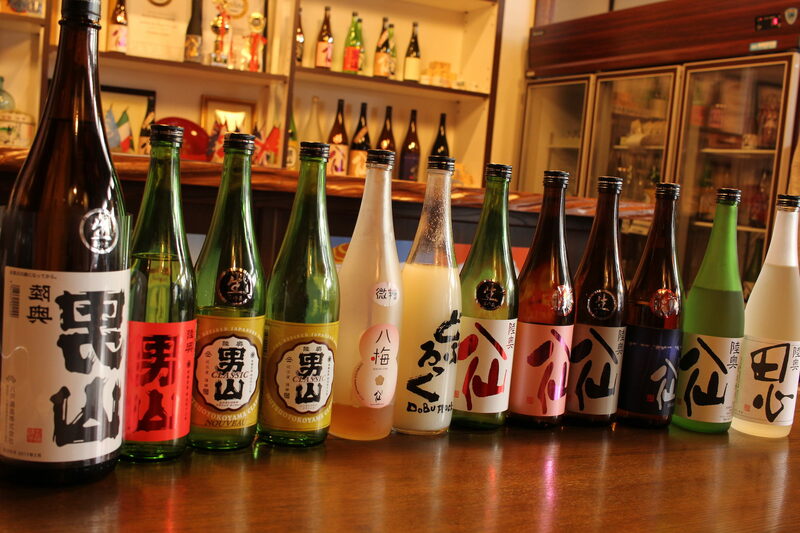 Their sake uses the traditional “Yamahai” method and annually wins awards both local and abroad. They also have a guided tour (only in Japanese) which explains the sake brewing process. They have a small museum which describes their brewery’s history and a tasting bar where you can taste their products. The tour is free and open to visitors. So if you’re interested in checking (or purchasing) their sake, you can drop by their brewery in Fukushima Prefecture. Ishikawa Brewery in Tokyo produces both sake and beer. This traditional brewing company has withstood the test of time, and their brand has made their mark all throughout Japan. As you pass through the old buildings, you can see just how much care they put on preserving their history. At the end of the tour, you are given samples of sake and beer. Feel free to purchase the ones who took your fancy. Note that advanced reservations are required at least one day prior to the day of the tour. The Sawanotsuru Sake Museum has been labeled as an Important National Cultural Property in Hyogo Prefecture. For 300 years, the Sawanotsuru Brewery had never stopped to perfect their method to create the best tasting sake. The admission for visiting the brewery is free. However, if you have more than 10 people in your group, it would be better to make a reservation before paying them a visit. Hachinohe Brewery in Aomori has been around since 1775. They are quite meticulous when it comes to brewing sake, so they only use organic, natural rice and wheat grown in Aomori Prefecture. The most noticeable building in their brewery is the “Red Brick House” where their sake is stocked and produced. Visitors are greeted at the reception room where a guide will give you a tour around the brewery. Look forward to the taste sampling at the end of the tour. The sampling has a fee of ¥500 per person, and you get to taste their most popular products. Kobe Shushinkan offers tours throughout the year except for December. The reason is due to the sake brewing process which is only done during this time of the year. The guide will show you around the brewery on which you will get an idea of how sake is made (from rice washing to filtration). They give out free samples at the end of the tour. Although the brewery accepts visitors, you need to make a reservation at least a day before you actually go to Kobe Shushinkan Brewery. Ozawa Brewery is located at Ome City and just 3 minutes away from Sawai station on the JR Ome line. You can easily hop on a train from Tokyo Station and be back in a few hours after going there for a tour. The place is beautiful, and you can see that they put great care in accepting visitors to their brewery. The garden on the premises have restaurants where you can enjoy local and seasonal dishes that go well with sake. Take your time and enjoy the free samples that are available at the end of the tour. Matsuoka Brewery in Saitama goes by another name, and that is “Mikadomatsu”. Mikado translates into the highest level (emperor), and Matsu refers to the Japanese pine tree which symbolizes prosperity. They named it with the hope to produce the “highest level sake” for continuous prosperity. Take note that you are required to make a reservation before going there to have a tour. Tamagawa Sake Brewery is located in Niigata Prefecture, which is known for having the most snowfall in Japan. With over 300 years of history, the techniques of sake creation have been passed down from generation to generation. The water they use for their sake came from natural springs that came from the surrounding mountains. You will be able to see the actual process of brewing sake through the guided tour. Gekkeikan Sake Brewery located in Kyoto is a 10-minute walk from Fushimi Inari Station/Chushojima Station/ or JR Momoyama Station. The brewery was said to be built during the 1600’s in the area where natural springs were located. Here you’ll find over 6,000 tools and implements that are related to the production of sake in the brewery. There is an admission fee of ¥300 (The samples for tasting are free). Kamoizumi Brewery is a bit hard to find if you don’t speak Japanese. However, if you have a guide, this makes things easier! Located in Hiroshima, this brewery accepts visitors, but only if you have a reservation. The reservation must be done “a week” before your visit so be sure to keep that in mind. The visiting hours are around 8:30 am – 12:00 (noon) and 1:30 pm – 5:00 pm.